United States’ Mikaela Shiffrin competes on her way to win the women’s super G o n Tuesday at the alpine ski World Championships, in Are, Sweden. United States’ Lindsey Vonn meets journalists during a news conference on Tuesday at the alpine ski World Championships, in Are, Sweden. ARE, Sweden – Mikaela Shiffrin has taken issue with comments by Lindsey Vonn and Bode Miller questioning her decision to sit out several events at the world championships. 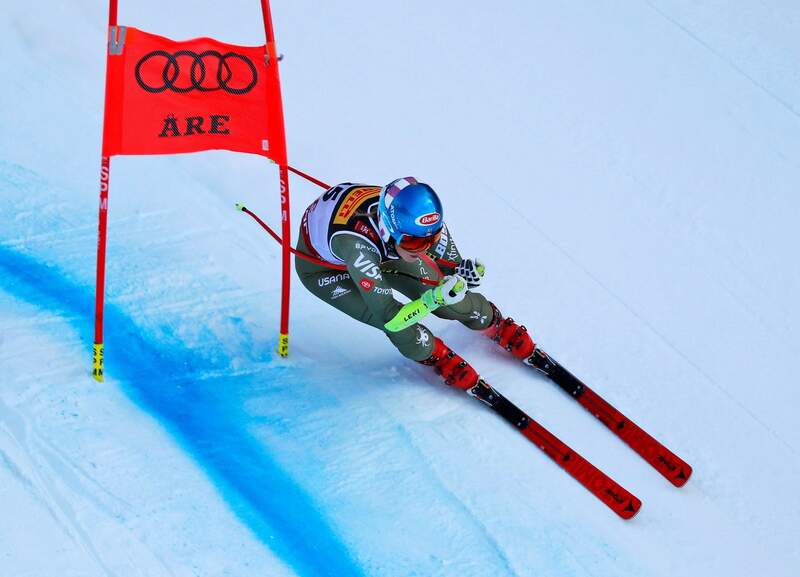 After winning the super-G on Tuesday, Shiffrin left Are to refocus for the giant slalom and slalom next week. That meant she didn’t race the Alpine combined – an event she would have been the overwhelming favorite for – and will also miss the downhill and team event. Shiffrin is well on her way to a third straight overall World Cup title and has become a multi-event skier in the model of Vonn (a four-time overall champion) and Miller (a two-time overall winner) – her fellow Americans and two of her biggest idols growing up. Miller was also perplexed by Shiffrin’s choice. The 23-year-old Shiffrin is attempting to avoid a repeat of last year’s Pyeongchang Olympics, when she got stressed out by schedule changes and postponements and followed her gold-medal performance in giant slalom with a fourth-placed finish in slalom – her best event. She finished the games by taking silver in combined. Shiffrin has won 13 World Cup races in four different disciplines this season – slalom, super-G, parallel slalom and giant slalom – leaving her one short of the single-season record set by Swiss great Vreni Schneider in 1988-89. “She has got her team and she has her own thing going on and I have mine. 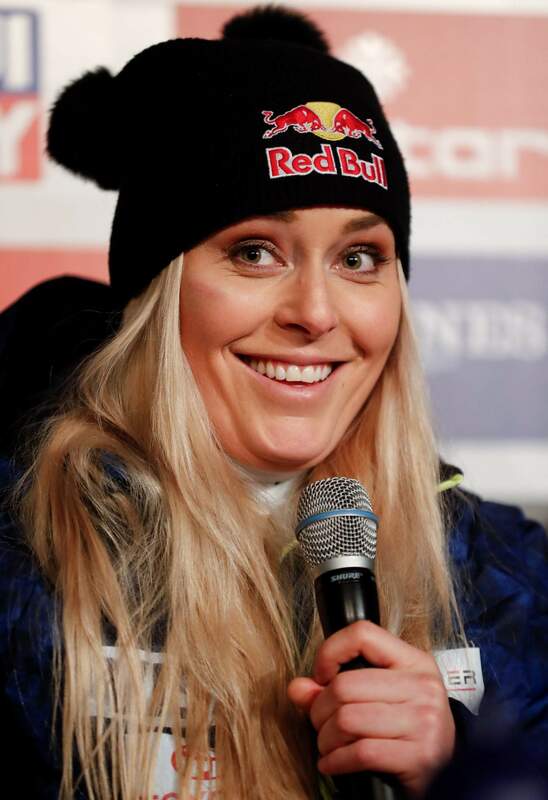 We don’t work together, I don’t really see her very often,” Vonn said. “She’s never training with us. I honestly don’t know her very well. There’s not many people I don’t know. It’s kind of interesting that I don’t really know her very well. I guess we have a lot of respect for each other. Vonn’s 82 World Cup wins are the most all time for a female skier but four short of the overall record held by Swedish great Ingemark Stenmark. Shiffrin, who already has 56 wins, is on pace to eclipse both Vonn and Stenmark.